After four years playing alongside LeBron James, Kevin Love is finally the guy in Cleveland. The Crossover talked to Love about that new responsibility, mental health and life without LeBron. The Cavaliers immediately became one of the worst teams in the league the first time LeBron James left town. In the four summers following his initial departure, Cleveland was in the lottery every year, with no end in sight until James decided to return. So while blowing it up is always a popular strategy after losing a super-duper megastar, hopefully it’s at least understandable why the Cavs’ front office has no desire to recreate another prolonged stretch of misery. Cleveland, at least for now, seems committed to remaining competitive. That’s most evident in the four-year extension the Cavs gave Kevin Love in the summer. 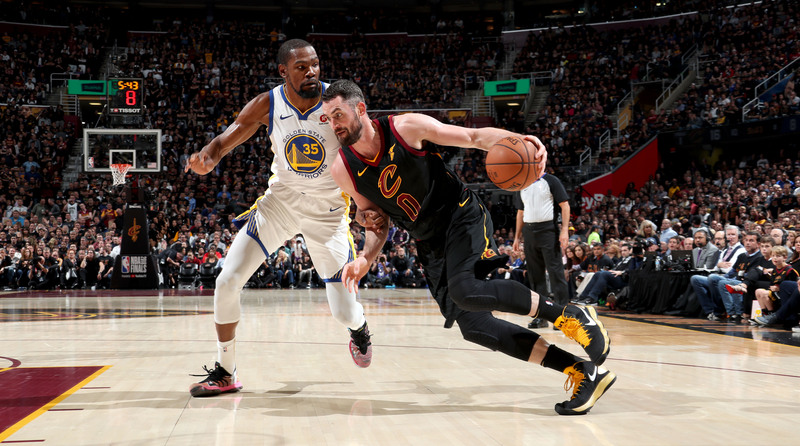 Love was arguably the target of the most ire during LeBron’s second stint, with his game falling under an intense microscope during highly competitive Finals matchups against the Warriors. But he’s remained in town for a chance to lead his own team, not unlike his early years as a League Pass favorite in Minnesota. Earlier this month, The Crossover caught up with Love to discuss his experiences in Cleveland, opening up about his anxiety, and much more. Rohan Nadkarni: How would you encapsulate the experience of your last four years in Cleveland? Could you describe it as fun? 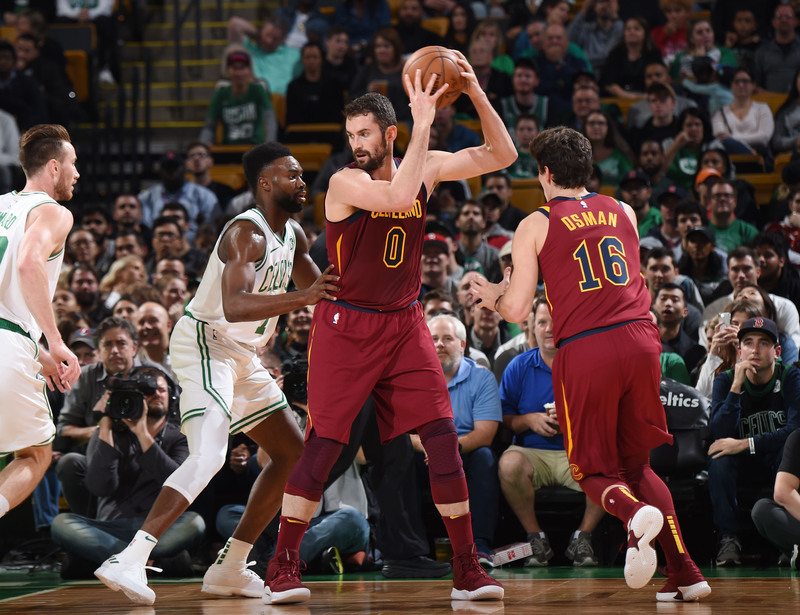 Kevin Love: I think I’ve been moved to every emotion, but overall I think it’s been mostly positive. We won at a very high level. I had Hall of Fame teammates. Maybe the best player of all time as a teammate and learned a lot from him and other veteran teammates that I had. It was a very special time, and still is. This is a new chapter. There are three guys here from that 2016 team in J.R., Tristan, and Channing Frye, and some much younger guys that are hungry to get better. And guys who are still figuring it out, that are a lot of fun to play with it and still have a lot to prove. So it’s been very positive and I have at least five more years. RN: So many stars want flexibility now when they sign their deals. What convinced you to make a long-term commitment to Cleveland? KL: I had a talk with Koby Altman, I had a back and forth with Dan Gilbert—I just didn’t want to be on a tanking team. I still wanted to be competitive. I wanted to give ourselves a chance. If Bron was going to be in a new chapter, we could still make some noise, especially in the East. That was something I had to talk out and make transparent between all of us. And they ensured me that would be the case—we would build something here. I felt comfortable here. I felt comfortable with what they were saying. That made it easy for me to re-sign. RN: A lot of NBA fans have fond memories of your time in Minnesota as the lead option. How does your current situation compare professionally? KL: I think in some ways it will be similar but also different. Then I was a lot more back-to-the-basket player, even though my last couple years I was still getting up a lot of threes. I was getting to the free-throw line a lot. I think now I’ll be much more perimeter oriented. There will be times when teams are playing small, there will be mismatches for me playing in the post, and it could look a little bit more like when I was in Minnesota. Statistically, I’m not expecting to be at 26 and 12 or whatever it was. I expect myself to have nights where that is the case. But I think my maturation and evolution as a player and leader, I’m going to do whatever it takes to win. I’ve sacrificed in the past. I know what it takes to win in this league. And it’s going to be something we’re going to have to build. It can’t just be about me. RN: Is it a relief to not have the intense pressure on the team now as you did over the last four years? KL: Yes and no. In some ways it’s a gift and in some ways it’s a curse. When there is that pressure, you have to find a way to channel it and use it as a positive. But for us this year, we went from being the No. 1 team in the East making it to the Finals every year, to now a team that’s going to claw and scratch and fight for everything that we get. That’s obviously a different mindset. I guess some of that pressure is off, but we also still have pressure to prove ourselves, and prove our worth in this league. RN: When did you realize you were comfortable talking about issues concerning mental health? What kind of changes or shifts did you realize after you opened up? KL: I think it was last year around this time. It took something that was, at least to me, was catastrophic in my life to open up and talk to one person, and then basically share it with anyone who was willing to read my Players’ Tribune article. After that, seeing the community that came forward, and the community that started because of it, beating down that stigma, having people that were willing to share their stories and talk, allowed me to be more comfortable in my own skin. It was therapeutic for me, it was very liberating. That’s why now I’ve started having more fun and started moving things in the right direction on that end. We do have the platform, the social media platform, we have the reach. I meant what I said—everybody is going through something. It’s a chance for myself and that community to pay it forward, and be able to touch other people in a very positive way. We want to keep that message going. RN: Is it easy for you to talk to teammates about this kind of stuff? Or does it not really come up in a locker room setting? KL: No, it comes up. It’s not only teammates. We have such an elite fraternity in this league. The fact that DeMar DeRozan opened the door for me, I was almost immediately after him, he gave me that platform. He was courageous to talk about his battle with depression, which allowed me to talk about my depression and anxiety. A lot more players around the league, behind closed doors mind you, have come up to me and said, “Hey listen, what’s it like? How do you deal with it? What has the experience been for you? This is my story.” It’s really cool to see, and I know that extends beyond the sport of basketball. It’s every sport, but it’s universal. It really doesn’t discriminate. RN: As writers we all love J.R. Smith, but there always seems to be a cloud following him around. What’s been your most enjoyable experience around J.R. these last few years? KL: I think just being around his kids, the little ones. He’s a great father. He’s very lively, he’s very funny to be around as a teammate, as you can imagine. But how much he loves his little girls. That’s something overwhelmingly positive about J.R. Him and his wife are very, very pleasant to be around. Becoming close with J.R. over the last four years, he’s very misunderstood. He has several interests outside of basketball. If anyone’s spent an hour or even 10 minutes with him, you know that J.R. is a great dude.